We fund the acclaimed orchestra, which brings together almost 60 musicians from Europe and performs across the continent. Its education and outreach programme also helps young people and new audiences experience live orchestra and chamber music. We support three institutions at the University of East Anglia, all founded by David Sainsbury’s parents Robert and Lisa - the Sainsbury Centre for Visual Arts; the Sainsbury Institute for the Study of Japanese Arts; and the Sainsbury Research Unit - which now operate under the umbrella of the Sainsbury Institute for Art. We are committed to ensuring William Shakespeare’s works remain at the heart of British cultural life. We contributed to the £113 million redevelopment of the Royal Shakespeare Theatre in Stratford-upon-Avon to improve audiences’ experiences. We help fund the Company’s Artist Development Programme, which builds cast and crew skills through training and extra rehearsal time, giving audiences a richer experience of Shakespeare’s work. We also support the Company’s archive and library. We support the Initiative, which helps all students engage in the arts - regardless of which academic subjects they are studying - through its dedicated arts website and other activities, including grants for non-curricular projects. We support three institutions at the University of East Anglia, all founded by David Sainsbury’s parents Robert and Lisa - the Sainsbury Centre for Visual Arts; the Sainsbury Institute for the Study of Japanese Arts (SISJAC); and the Sainsbury Research Unit - which now operate under the umbrella of the Sainsbury Institute for Art. We supported Tate Britain to create two permanent galleries dedicated to the work of Henry Moore. A series of changing displays present Moore’s sculptures and other works in a variety of contexts, drawing on Tate’s collection, new acquisitions and loans. We are committed to ensuring William Shakespeare’s works remain at the heart of British cultural life. We contributed to the £113 million redevelopment of the Royal Shakespeare Theatre in Stratford-upon-Avon to improve audiences’ experiences. 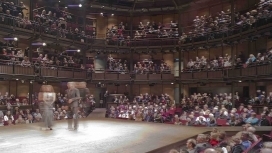 The theatre is the home of the Royal Shakespeare Company, and we also support the company’s Artist Development Programme, which builds cast and crew skills through training and extra rehearsal time.